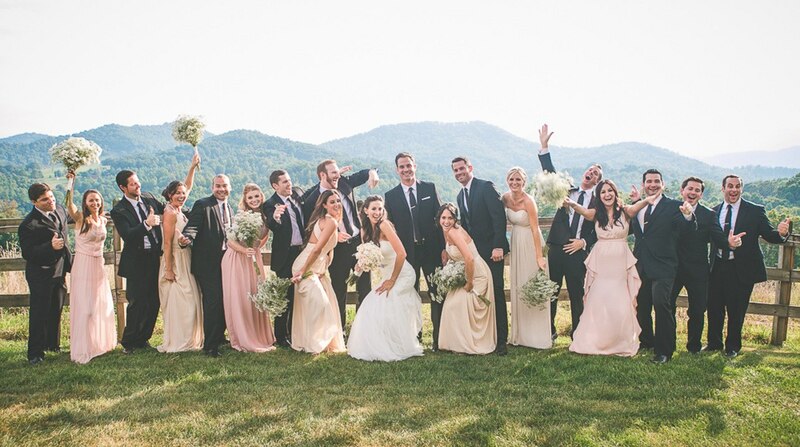 Kelly and Clayton got married at a beautiful private home in Clyde, NC. This Californian couple were as breathtaking as the mountain views! It was such a pleasure to be a part of this special destination wedding. Good food, good music and good company! Thanks to Johnny and the Loveseats, the guests were dancing all night! Check out this video by Beautiful Life Films. It captures the amazing mountain views and the good times that were had by all. Congrats to the happy couple!